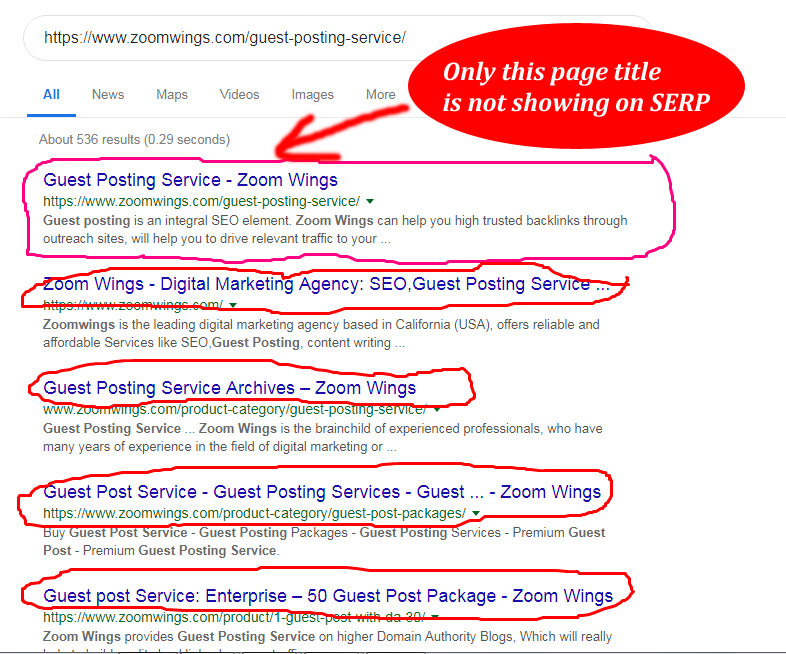 But another page's title and descriptions aren't shown on Google when I search as you see pic. 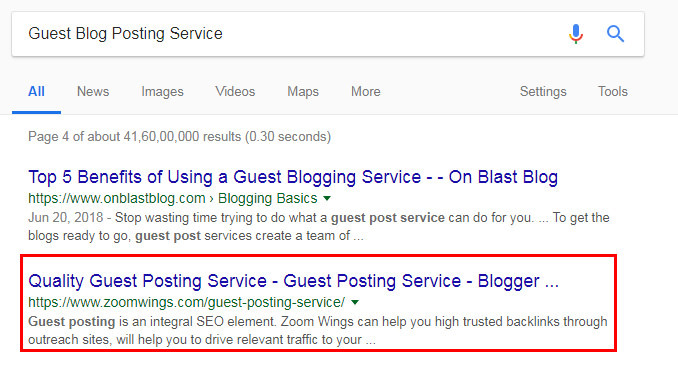 and on another site when I search keyword "Guest Blog Posting Service" so when my page's title and descriptions show as you see this pic. So this is an issue that I don't understand. What should I do to this fix this issue? When was it spidered? 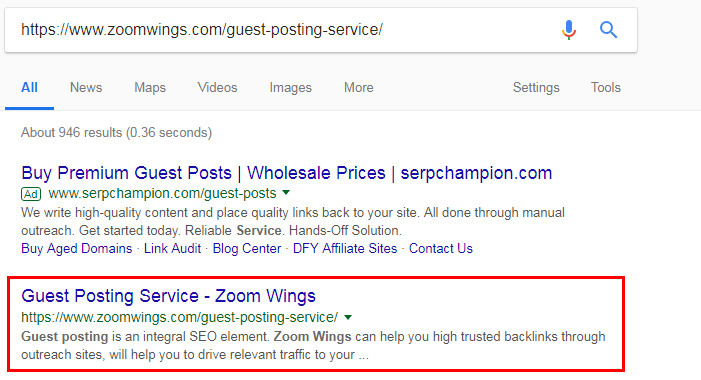 Check your cache with " site:the page.com"
I am sure zoomwings don't know how to check the cache! let us know if you are unable to check it. Having looked at the page, Google is just doing what Google is known to do. Change the title to what it thinks is appropriate for the search. I do believe you can do better. I agree with knowone special, that Google throws out relevant results after running numerous algorithms. Check for the cache as mentioned by Riya also try to change your title try to experiment and also analyse your competitors how they are ranking. I updated my page title as I was advised and my webpage was also Indexed or cached on 1 Dec 2018 but still, the problem is the same. Now, what should I do to fix this issue? I don't see anything that needs fixed, for the problem your claiming. The search results show the same title that shows in the page source. May be your website not cached after updating Metas. so google not showing the title. I might be wrong but I think your comparing the site: command results with web results, and I believe they don't both get indexed at the same time. Which is why your seeing two different results. I wouldn't recommend constantly changing it either. Last edited by Test-ok; Dec 7th, 2018 at 03:50 AM.